"Mosque" is the English name for a place of Muslim worship, equivalent to a church, synagogue or temple in other faiths. The Arabic term for this house of Muslim worship is "masjid," which literally means "place of prostration" (in prayer). Mosques are also known as Islamic centers, Islamic community centers or Muslim community centers. During Ramadan, Muslims spend a lot of time at the masjid, or mosque, for special prayers and community events. Some Muslims prefer to use the Arabic term and discourage use of the word "mosque" in English. This is partly based on a mistaken belief that the English word is derived from the word "mosquito" and is a derogatory term. Others simply prefer to use the Arabic term, as it more accurately describes the purpose and activities of a mosque using Arabic, which is the language of the Quran. Mosques are found all over the world and often reflect the local culture, heritage, and resources of its community. Although mosque designs vary, there are some features that nearly all mosques have in common. Beyond these basic features, mosques may be large or small, simple or elegant. They may be constructed of marble, wood, mud or other materials. They may be spread out with internal courtyards and offices, or they may consist of a simple room. 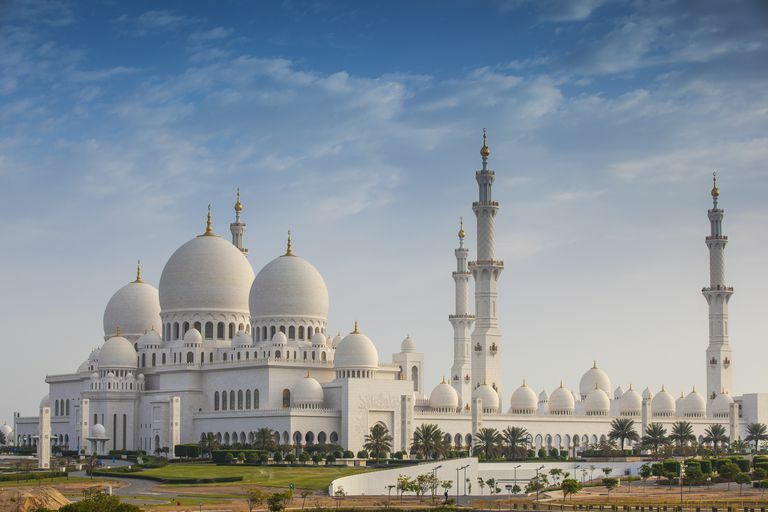 In Muslim countries, the mosque may also hold educational classes, such as Quran lessons, or run charitable programs such as food donations for the poor. In non-Muslim countries, the mosque may take on more of a community center role where people hold events, dinners and social gatherings, as well as educational classes and study circles. The leader of a mosque is often called an Imam. Often there is a board of directors or another group that supervises the activities and funds of the mosque. Another position in the mosque is that of a ​muezzin, who makes the call to prayer five times daily. In Muslim countries this is often a paid position; in other places, it may rotate as an honorary volunteer position among the congregation. Although Muslims may pray in any clean place and in any mosque, some mosques have certain cultural or national ties or may be frequented by certain groups. In North America, for example, a single city may have a mosque that caters to African-American Muslims, another that hosts a large South Asian population -- or they may be divided by sect into predominantly Sunni or Shia mosques. Other mosques go out of their way to ensure that all Muslims feel welcome. Non-Muslims are usually welcome as visitors to mosques, especially in non-Muslim countries or in tourist areas. There are some common-sense tips about how to behave if you are visiting a mosque for the first time. Need Help Choosing a Muslim Name for Your Baby Boy?